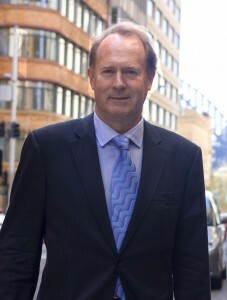 Mark Westfield moved into financial communications 14 years ago after a career of more than 30 years as a writer and commentator in newspapers and television in Australia and the UK; the last 10 of which he was a senior business columnist and Business Editor of The Australian. He also served as Communications Director to Liberal Party leader Malcolm Turnbull when in Opposition. Mark’s experience in business communications encompasses consultancies with companies in financial services, the resources sector, energy, private equity, gaming and the media. He is rightly regarded as operating at the very highest level of Australian business and political media today. He has extensive knowledge of the media industry and its participants at all levels, but in particular the senior business writers who tend to lead opinion in the sector. Mark has written two successful books; HIH, the Inside Story of Australia’s Biggest Corporate Collapse, 2003 (John Wiley), and The Gatekeepers: The Global Media Battle to Control Australia’s Pay TV, 2000 (Pluto Press).